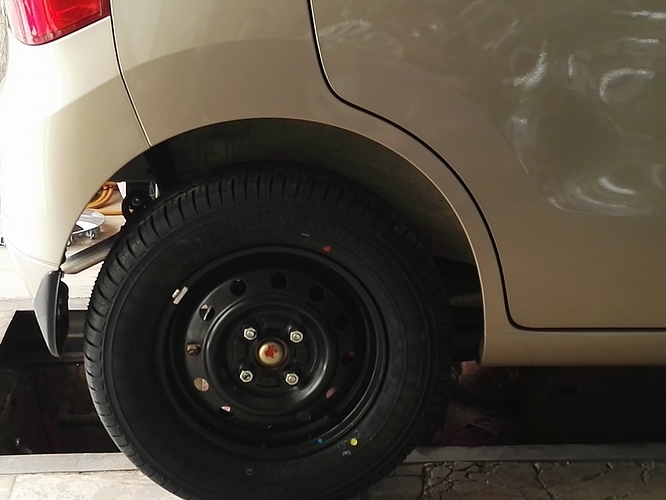 Need your expert sugestion i just installed yokohama A drive tyre to wagon r its size is 175/70 R13. Just a month use i am facing some serious noise from my shocks. I just want to know are these size tyres are suitable for wagon r or should i go to default size ??? 2ndly i want to know what is Highest RPM of wagon r vxl. As i realized my car struck at 4500 rpm with speed of 140 maximum but when i just bought it new highest speed was 160 with 5500 RPM. service history of your car? Bro what kind of noise are you facing? I'm using 14 inch alloy rims with tyre size 165-65-14 in my new wagon r from last two months no problem at all..regarding rpm yes its normal my car also touches 4000rpm at 120 almost 4600 rpm at 140..after my 1st oil change recently I used Honda's 0w-20sn grade oil now my car pick and accerlation is awesome it touches 160 easily. Servies is done on every 4000 km and maintain car in good condition. Noise is like geee geee on speed breaker. Is it normal to use 175/70 R 13 yoko for wagon r.
Which honda oil you are using ??? No then it's not tyre fault. If you are facing suspension issues after changing tyres then it's definitely due to wrong tyre size. It is never recommended to install tyres with size other than company's specified as it causes suspension problems in the long run. Plus fuel economy is also affected. Remember installing lower profile tyre effect suspension not the bigger profile. If you think i'm wrong come up with a logic. I am not here to fight or prove any one wrong. We all are here to have a healthy discussion and try to help each other. I just think installing heavier tyres than recommended put extra burden on suspension and causes stiffness. if this is a healthy discussion then i think life safety comes first as heavier tires have better grip to the road then light tires most of the accident are caused by light tires even if you applied breaks why is that it's because light tires can't keep proper grip to the road most of the peoples change there tires when they buy a new car because they want safety of there loved one's not safety of a machine. Well majority of the people change tyres for decoration and not for safety. Had it been for safety then they wouldn't have bought wagron R in the first place which comes with no safety feature. Safety isn't a big concern for people over here in Pakistan and that's the reason why we don't get basic safety features like airbag etc even in xli. I'm using hondas fully synthetic 0w-20sn grade oil..and dear gee gee noise are not from tyres and no problem with 175/70/13. Stock comes with 145/80/13 euro tycoon. I'm not fighting or something. You took my words wrong. 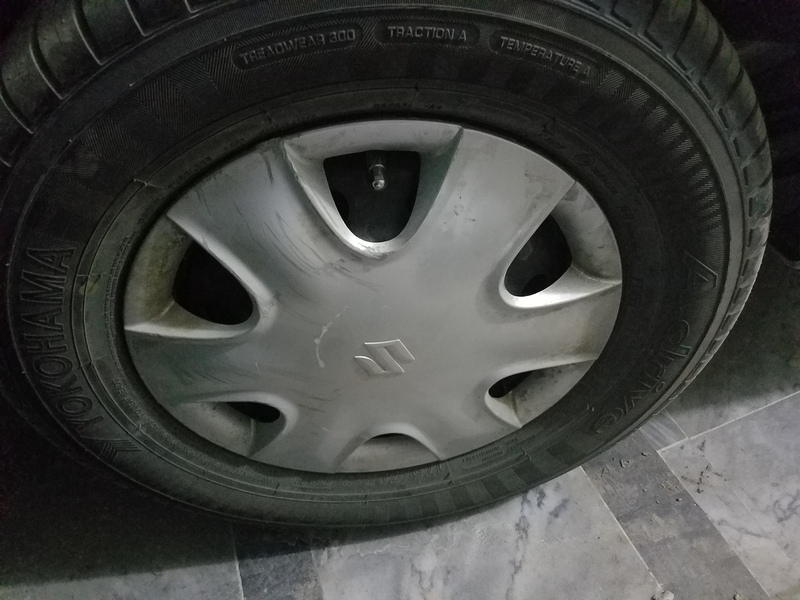 I personally had done experiment of different profile tyres on 2 separate cars. Stock size of ae80 is 155 i had used 195,185,205,175 with different heights. Noise might be due to mud flaps or mud guard shield touching the tires once you pass through speed bumps. For Speed issues you can get your throttle body serviced and get your ECU reset. Okay after reading all replies i have come to point [ if this installed size is ok then why my car steering vibrate when car reaches to 120 km/h speed ? Boss i cant explain noise but i am sure its coming after tyre change. 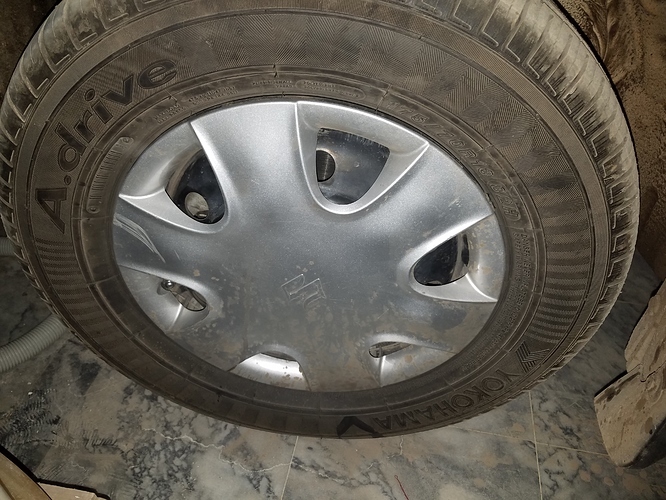 vibration is due to wobbling....your rims need balancing. Wheel balancing and wheel alignment done after installion of new tryes secondly yesterday did both things again..